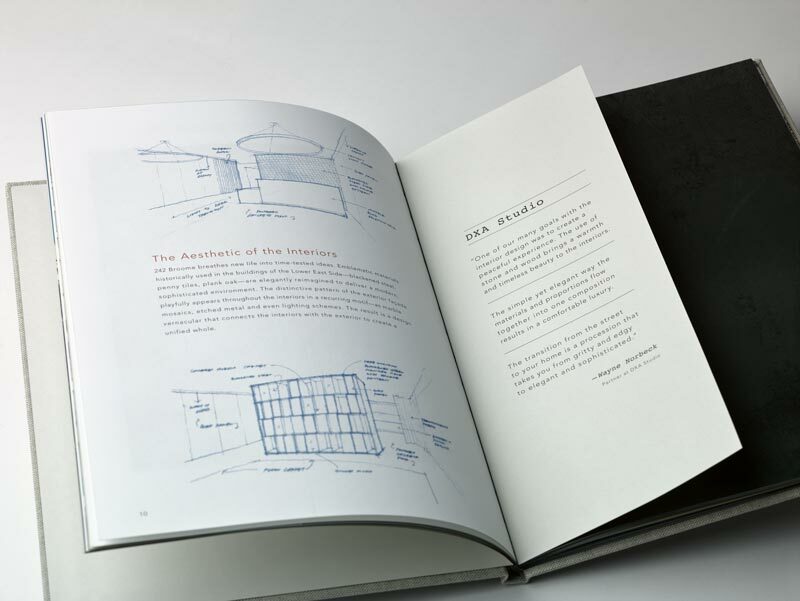 Brilliant’s work for And Partners is always particularly rewarding. The branding they provide for their notable clients is always smart, cohesive, and complete with impeccable execution. 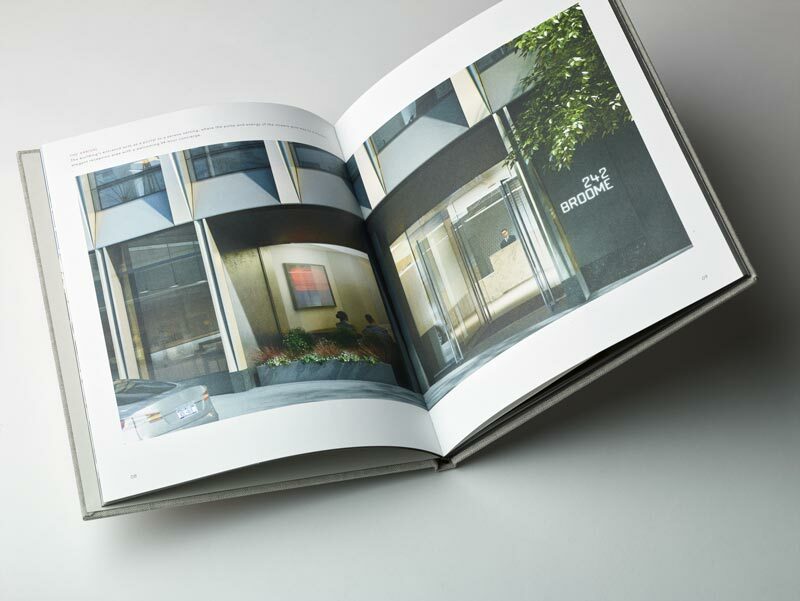 Brilliant worked with And Partners to produce the stylish collateral and sales center materials for 242 Broome, a new Lower East Side residential development. 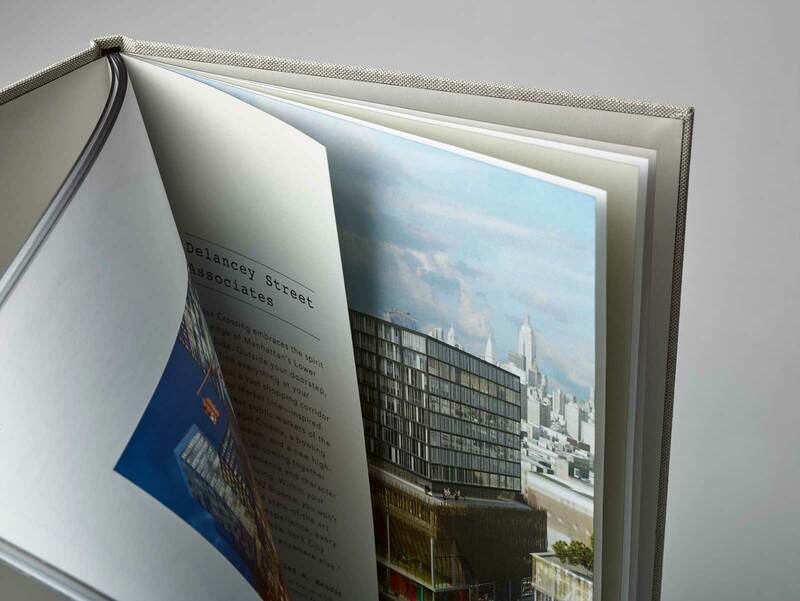 Together, we strove to communicate the exceptional craftsmanship, premium finishing, and distinctive lifestyle of 242 Broome in the printed materials. This spectacular sales booklet rises above. Text pages printed 6 color (CMYK plus two pantone spot colors). Case bound in Natuur & Halflinnen fabric. 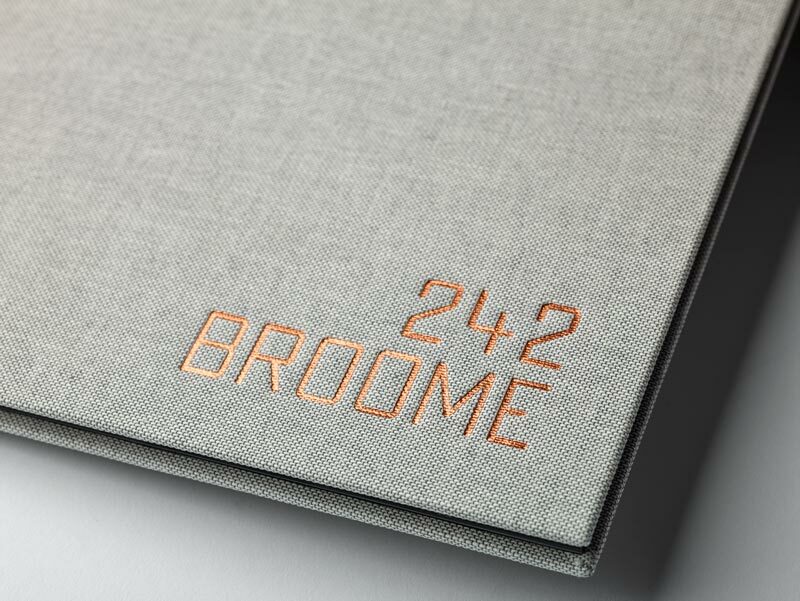 The 242 Broome booklet is covered in textural referencing the signature champagne-colored façade, and the flash of copper foil debossing is like the sun reflecting on it’s anodized aluminum surface. 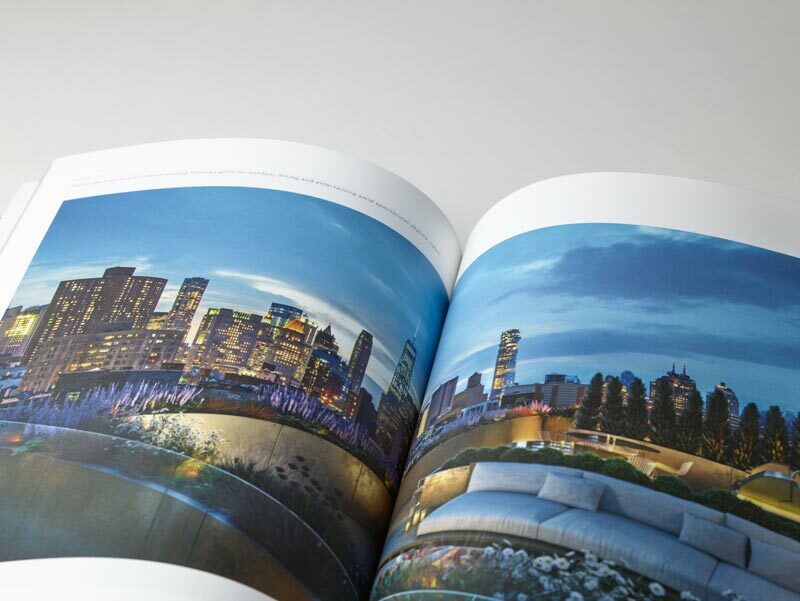 Expertly tipped-in short leaf pages give a peek of the LES skyline and residential floorplans against informative text. 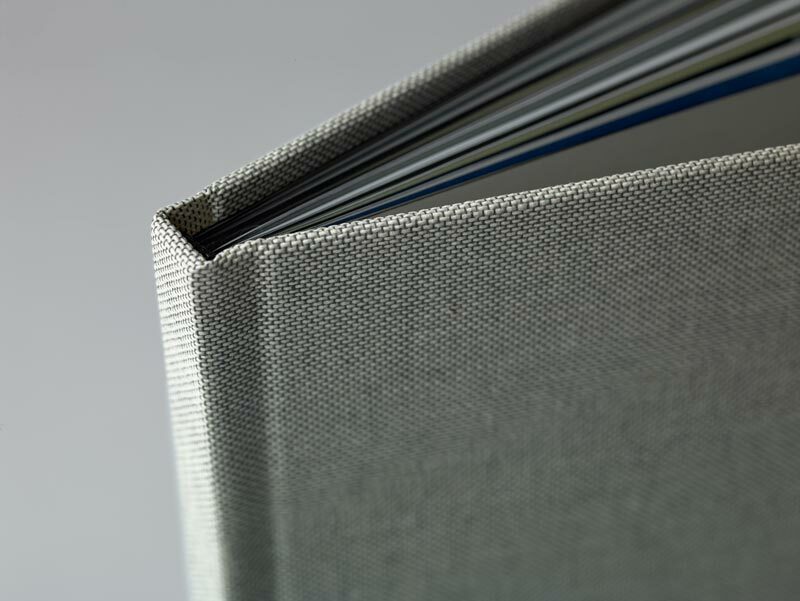 The pages are finished with black edge guilding for a finish that communicates the sophisticated aesthetic and attention to detail. 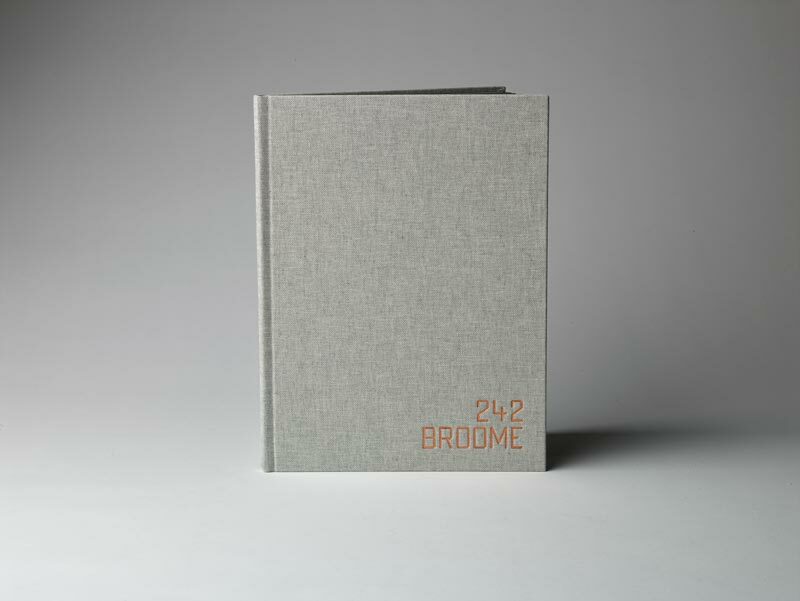 Visit And Partners to see more of their comprehensive 242 Broome branding. Collaborate with Brilliant for spectacular results.